A Year of Being Here: Jimmy Santiago Baca: "This Day"
no design, no dream, just robins acting stupid. carrying all that falls in it. 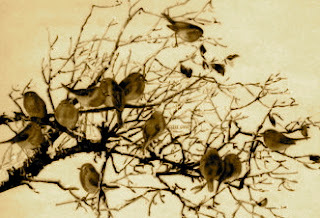 and fuss about in its branches. "This Day" by Jimmy Santiago Baca, from Spring Poems Along the Rio Grande. © New Directions, 2007.